When zooming out a map in pak128 or pak128Britain the following artefacts appear along the rivers. Sometimes you need to hit rotate map button in order to produce the bug. It appears only in these 2 packs (128, half heights). Could be pack specific? It seems an error in the pakset in my humble opinion. They are probably set as objects with the "draw_as_ding"-flag. On zoom, no matter whether its in or out, each tile behaves on it's own, so disconnection can happen. Same applies to ways without the "draw-as-ding" flag buildt on artificial slopes. 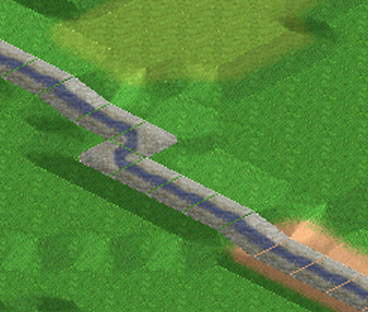 Pak designers can somewhat circumvent this by making each tile of their way a bit larger than the tile, so they would overlap slightly. 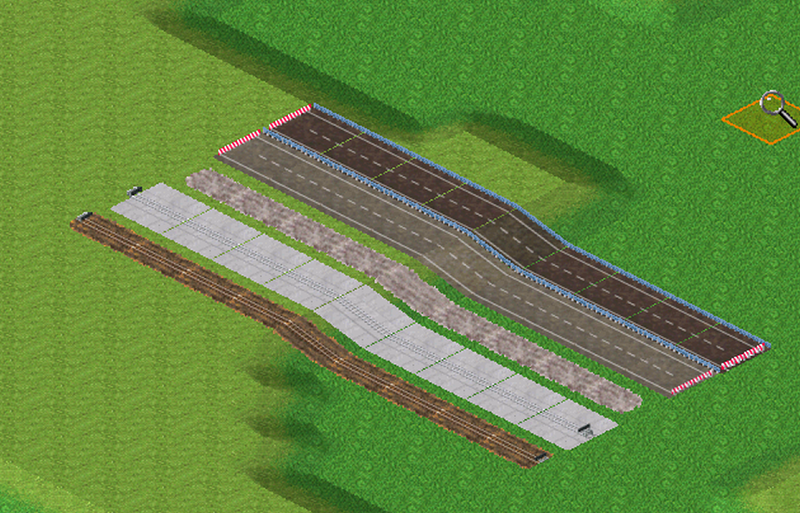 This is related to how simutrans zooms sprites. After zooming, the tile borders of tile and way images might not match. Strange, but the bug does not appear on a fresh created map (as long as you don't rotate it). However, the bug appears on maps loaded from disk. 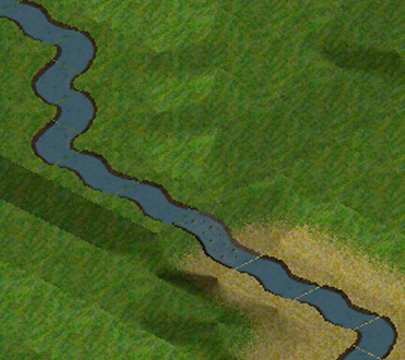 Seen it effecting more than just rivers, such as freshly constructed rails and roads. Almost like an off by one error. Indeed it affects ways, but only some of them (pak128).